In todays busy trade show environment presenting your product or message to booth visitors in an interesting attention drawing manner is a must. 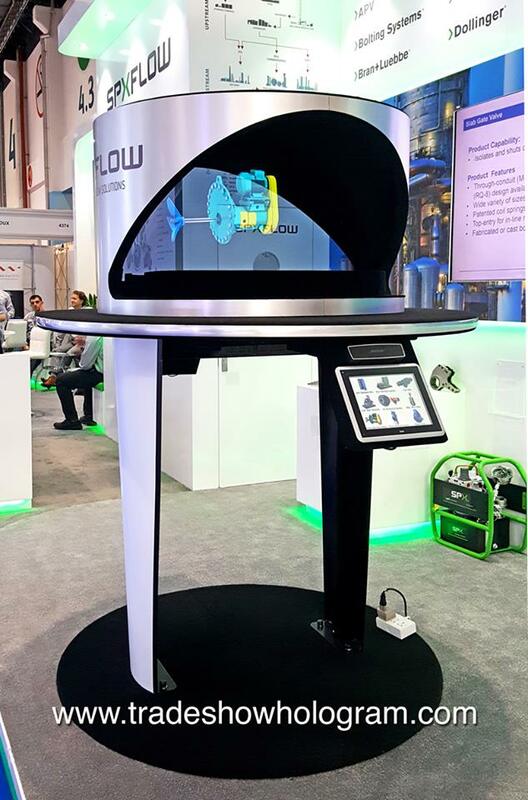 SPX FLOW recently used an interactive 3d hologram projector to exhibit multiple products at the touch of a finger. The Holographic Projector from Trade Show Holograms features an interactive touch screen which allows those interacting with it to call up any of the holographic presentations on demand. The 3D nature of the projection that appears to float in mid air proved popular with visitors to the SPX FLOW booth at Adipec 2017. Hologram Projector at trade show.